Online pre-registration is now closed. We apologise for any inconvenience caused. 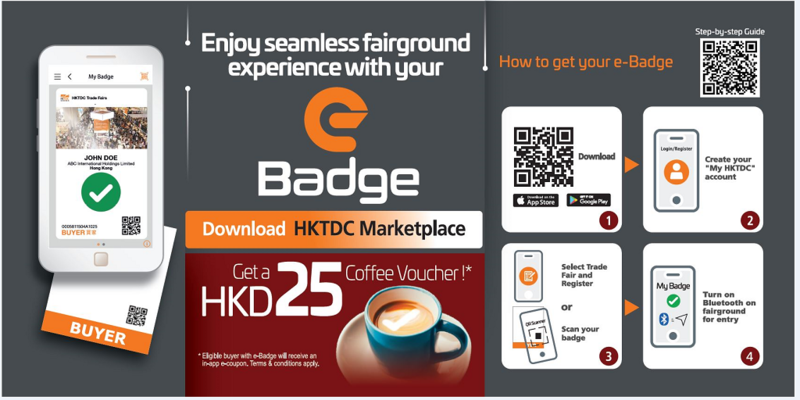 Trade buyers can register for a free electronic admission badge (e-Badge) in the HKTDC Marketplace mobile application, and then enter the fairground directly. Please bring along your business card, and approach the Buyer Registration Counter at the fairground to register for your badge. *The fair is for trade visitors aged 18 or above only. The Organisers reserve the right to verify the trade identity of registrants and to refuse admission to any registrants deemed inappropriate.